Bremen Town Landing-Main Town Dock and Parking Facility – Located at the end of Town Landing Road directly off Medomak Road. Bremen Long Island-Mid Island Town Landing – Located directly east of the Bremen Town Landing on Town Landing Road off Medomak Road. Bremen Long Island-Southern End Landing – Located on very southern tip of the island but inside the sheltered cove. The road on the island connects this landing to the Bremen Long Island Mid Island Landing. A gravel pad is at the southern end for launching. 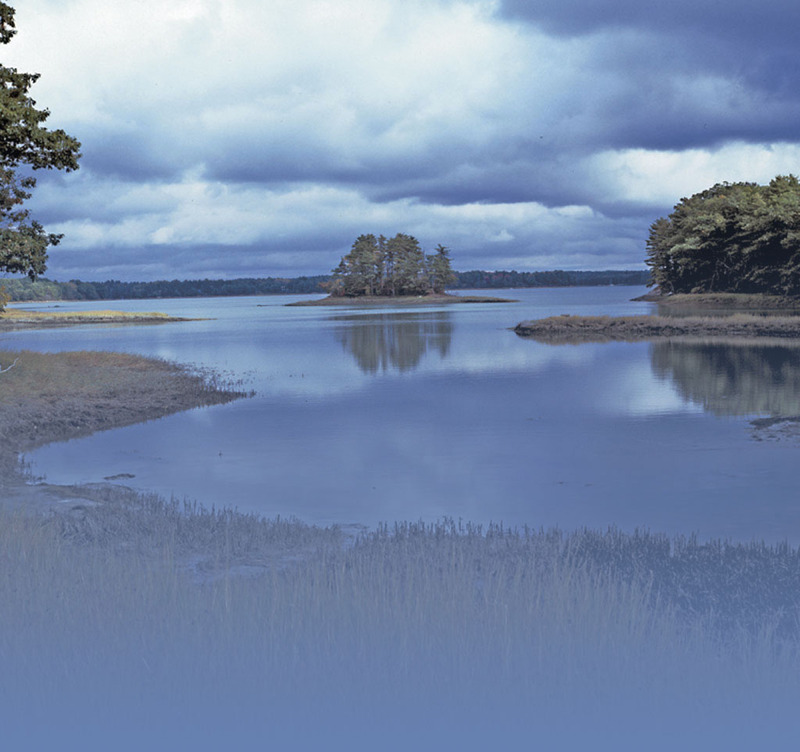 Clam Island – Located almost directly across from the Bremen Town Landing and clearly visible. This island was deeded to the Town by the Noyce Family. There is no designated landing area. Creek Road Landing – At the end of the road there is a parking spot, on the left, for 2 cars. The access goes from this area down to the water by a rough path. It is not well marked, and there are hazards; so watch your step, please. Hay Conservation and Recreation Area – Located on Route 32 just north of Turner Road. Small parking lot on top of property with beautiful view of the water. Foot trail downhill to the water. Keene Neck Road Greenland Cove/Mill Pond Access – Located about 1/8 mile down Keene Neck Road on the right. It is not marked, but one will notice a one- to two-car parking area next to a natural entry to the tidal Mill Pond. Storer Road Landing – Located at the end of Storer Road, this area is basically a tidal access ramp into the Bugtussle and Broad Cove areas.